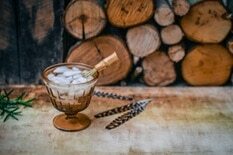 Some things are just perfect the way they are. 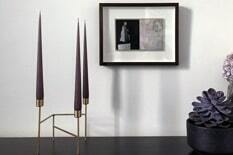 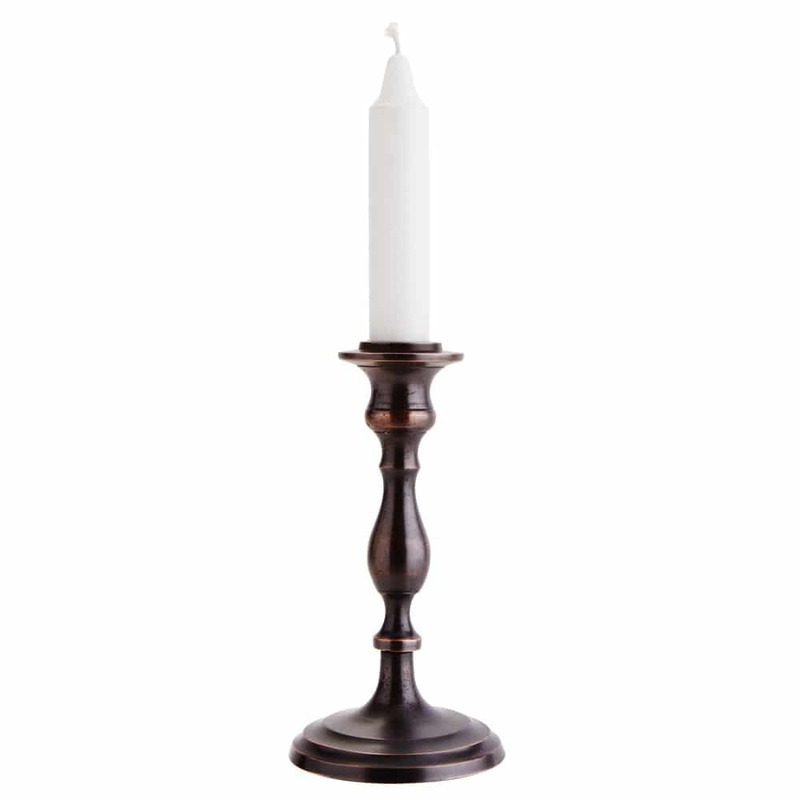 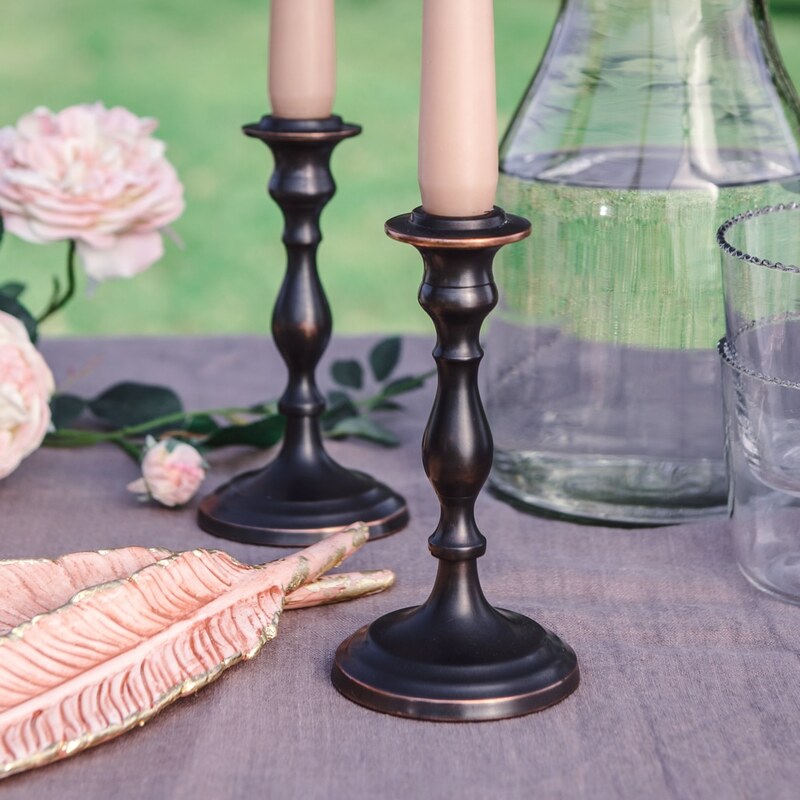 This bronze version of a classic candlestick shape is the perfect size and form for a candlelit banquet. 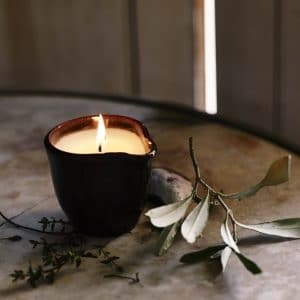 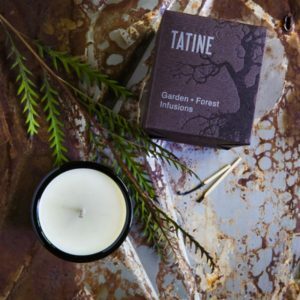 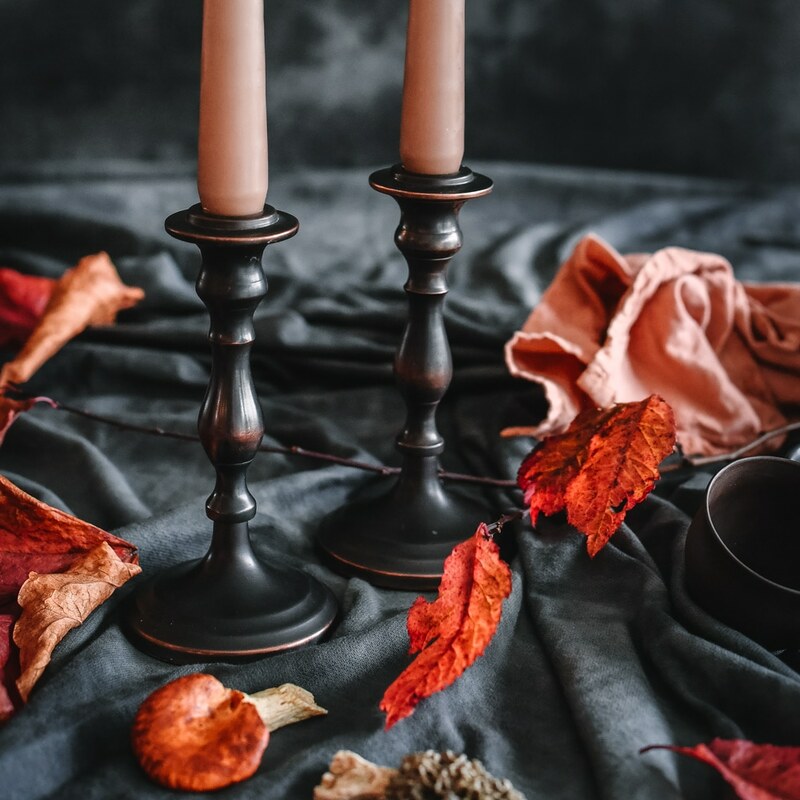 From tables filled with pine branches, winter berries and rustic charm to summer linen with scattered rose petals and fruits laid out in between, this candlestick knows it’s ‘the one’ and will be in your family forever. 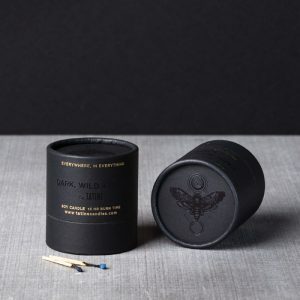 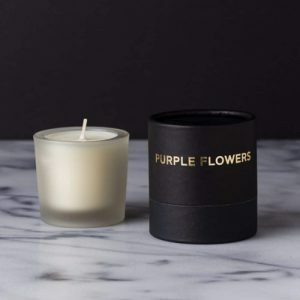 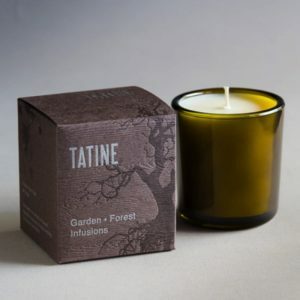 Use it on its own on a sideboard or set them up in pairs or odd numbers with our hand dipped taper candles in every colour to compliment even the most contemporary table setting.